ACHIEVE SPECTACULAR VIEWS WITH SLIDING DOORS! 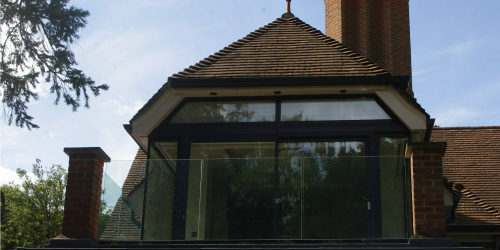 Our sliding doors (or patio doors as they are known by their more humble name!) enable large expanses of glass to seamlessly blend inside and out. Large sliding glass panes maximise your views whilst transforming your ordinary kitchen or living room into a spectacular and inviting light-filled space. An uninspiring dining room can enjoy panoramic views of your garden & beyond through the seasons – turning it into the perfect setting to entertain guests or to enjoy a private moment in your own dream space. THE SECRET TO EASY OPERATION! 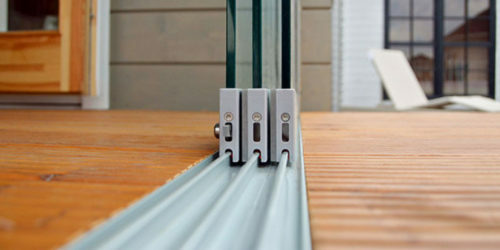 Our product innovations are such that the popularity of our sliding patio doors continues to grow. Thermal enhancements in glass, slender profiles, quality running gear and enhanced security are features that complement our growing product portfolio. Our systems are precision engineered to guarantee you smooth, easy operation, weather tightness and high security as standard. They include anti-lift blocks, a reinforced interlock between panels and a continuous locking bar accommodating a five-point mushroom bolt and claw locking. 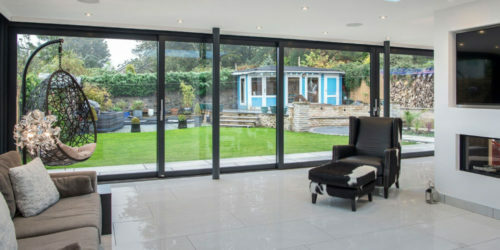 Our lift and slide doors offer an even bigger glass area with fewer vertical aluminium profiles between panes, which allow you to transform your space and maximise your view. Available on twin and triple track systems in various opening configurations, you can specify which panels you need to slide, so we really can offer options to suit all openings. We can even completely open up corners! We offer two slim framed sliding door systems both with impressively slim sightlines and a modest price tag! The OPT-Slim and the OPT-LG are both capable systems that can accommodate large panes of glass and really maximise your view. The OPT-LG is a lift and glide door system with excellent thermal efficiency. It is more heavy duty than the OPT-Slim system and can therefore accept larger (& heavier) glass panes, yet they are opened and closed almost effortlessly. We know that your sliding doors need to be the right size, style and colour for you. That’s why we will work with you to create the perfect sliding doors solution for your needs. From getting a free, no obligation quote, expert design advice and insights into the installation and aftercare process, we make sure that you get exactly what you require every step of the way. 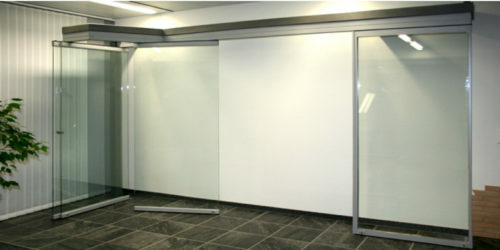 We have our sliding doors installed in our Norfolk showroom, ready for you to visit and put to the test! Just get in touch and we can discuss your sliding patio door project with you today.